If you live in an apartment or condo and are envious of your homeowner friends’ large gardens, it’s time to accept the gardening challenge. Whether you want to plant flowers or grow vegetables, no area is too small for Mother Nature to take hold. Don’t let your lack of outdoor space keep you from enjoying the popular hobby of gardening. Gardening offers lots of benefits. Not only is it a great way to grow your own food and enjoy the outdoors, it is a gentle form of exercise. Many find weeding and watering their plants a way to relax and clear the mind. Even with limited space, you can create your own quiet retreat while making your garden grow. Find the best location – You need at least 3-4 hours of direct sunlight. Know your zone – Where you live affects when you start planting. Get approval – Some apartment complexes and condo HOAs may have restrictions. Start small – You’ll be tempted to overindulge but start with a few plants first. Prepare your beds or containers properly – Good soil starts things off right. Space them out – Give your plants room to grow. Study growing habits – Native plants are the easiest to grow. Don’t overwater or over-fertilize – Not all plants need the same care. Beware of invasive plants – If the ad says fast growing, beware. Do your research. Not all bugs are bad – Don’t overuse insecticides. Bees and ladybugs are beneficial. Weed, weed, weed – Make it a habit. They sap nutrients from your plants. Containers – Don’t limit yourself to flower pots. Anything that holds soil can be a planter including boots, buckets, tin cans, a child’s wagon or even a hat. Window boxes – There are some that do not have to be permanently mounted. Ones that attach to deck railings can blow over in windy conditions. Standing planters – If bending over is a problem for you, consider raised garden beds. They are easy to construct out of pressure treated lumber. 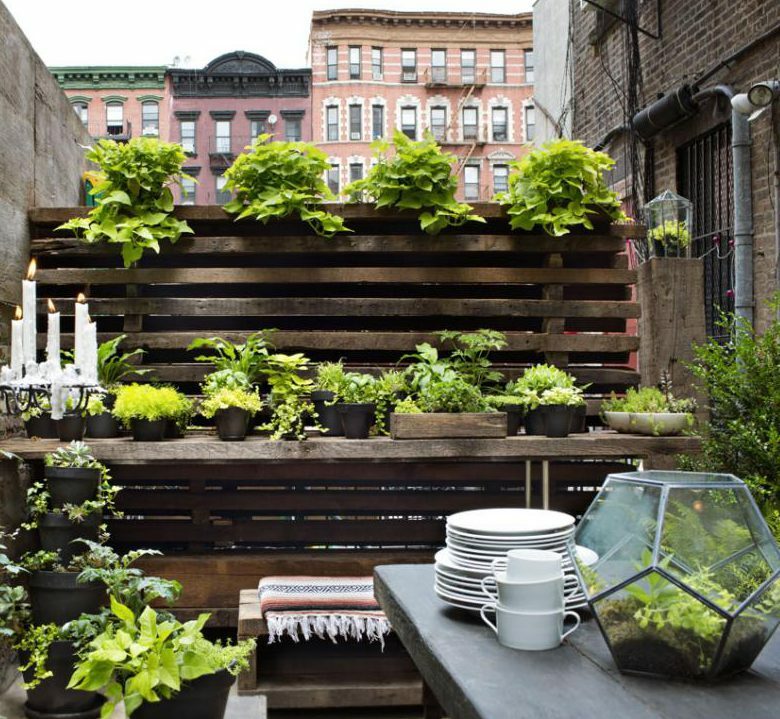 Vertical gardens – An old wooden pallet or window shutter attached to a wall provides lots of planting potential. Many experts have predicted that by the year 2030 nearly 50% of the world’s population will live in urban areas. Adapting where our food sources originate and how we view our role in producing it is an issue facing our world today. Your little veggie garden isn’t as insignificant as you thought. If you have your heart set on planting a vegetable garden, start small. Ask your local garden shop which plants work well in containers. There are many tomato, lettuce, onion, kale and herb varieties that do well in compact spaces. If you share a balcony with a neighbor and you want to grow vines of beans, ask if they’d mind and then offer to share the harvest. Gardening isn’t limited to those with large expanses of land. Growing flowers and vegetables in small plots or containers can be just as rewarding. Add some greenery to your life by starting a garden today. Join your local garden club or volunteer to work in a community garden. Let Mother Nature show you how to reap the benefits of planting a garden. From shovels and rakes to tillers and wheelbarrows, our expert staff is always on hand to assist gardeners with their next DIY project. If you are interested in growing herbs, check out our previous blog, A Message to the Beginner of Herb Gardening, to learn great tips on selecting and planting the right varieties in your garden. As always, if you have any questions about what to choose, pricing or how-to’s, don’t hesitate to contact us. Stop by our store — we’re open seven days a week. With several states experiencing years of severe drought, most notably California, water conservation is fresh on the minds of homeowners and elected officials. In 2016, stiffer Federal regulations on the flow rate for residential water usage went into effect. To reduce your water usage and save money, consider making some quick DIY upgrades to your home’s plumbing. Before getting into what to fix first, think about the gallons of water flowing down the drain while you run the water as you brush your teeth, wash your hands or do the dishes. The average person in the U.S uses 80-100 gallons of water per day. Consider turning facets off while the tooth brush is working in your mouth or you’re lathering up your hands or scrubbing grease from pots and pans. We also lose 10 gallons of water a day to just to plumbing leaks. If your bathroom or kitchen faucets are looking old, why not replace them? Newer, more efficient models have built-in filters called aerators that reduce the flow rate. To add a separate aerator to an old fixture, unscrew the existing nozzle filter and screw in the new one. Many will come with new housing in case the old one is damaged when removing it. By simply changing your shower-head you can lower your water usage 25-60%. Older, low flow shower-heads have a flow rate of 5.5 GPM (gallons per minute). Today’s fixtures have a 2.5 GPM and provide a steady stream of water that will please even the pickiest bather. 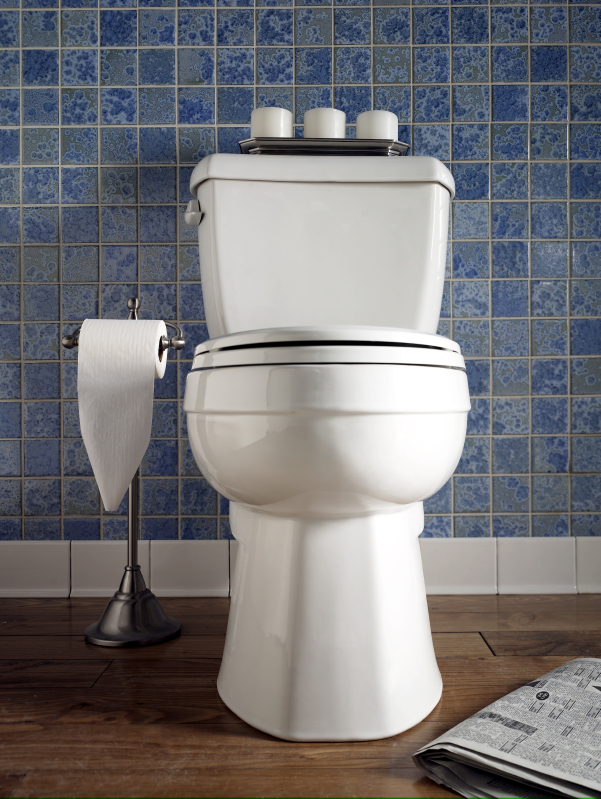 Discussing low flow toilets used to be a dirty topic with homeowners due to the toilet’s lack of follow through. Today’s toilets aren’t your grandmother’s loo. They now use as little as 1.6 GPF (gallons per flush) compared to the old ones, which used 7 gallons. 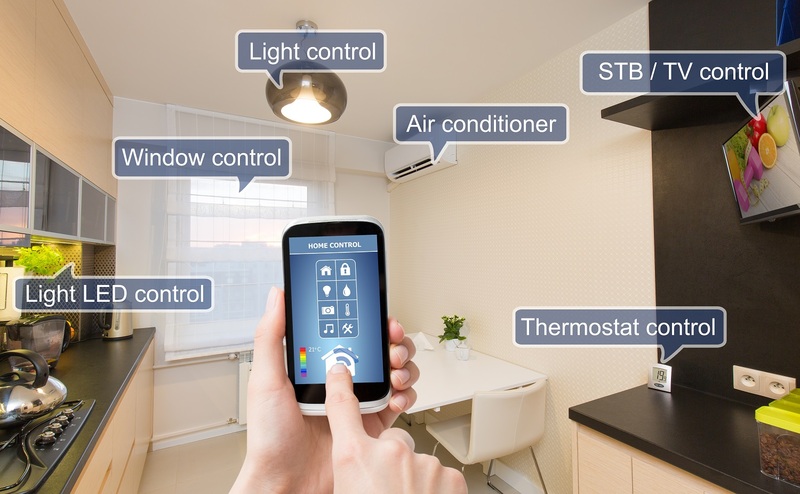 All these different toilets come in standard styles and require the same mounting materials as the old-fashioned ones, with one exception: motor assisted toilets require electrical power for the small motor. Not ready to replace your old toilet just yet? Consider adding a water displacement element to your tank. Before you go out and buy something, try putting a small half gallon plastic bottle filled with sand into the tank instead. The theory is to use less water in the tank but to keep enough for it to flush. Sometimes, the littlest changes bring about the biggest results. You can save water around your home by upgrading your plumbing to more efficient fixtures. These quick, easy DIY projects will help cut your water bill and reduce your overall consumption. Happy flushing. From cordless flashlights and wet/dry vacuums to caulk cutting saws and right-angle wrenches, our expert staff is always on hand to help find the right equipment for your next DIY plumbing project. Need to know how to replace a faucet? Our blog, Two Quick and Easy In-Home Plumbing Repairs, has helpful tips that will make the installation a breeze. As always, if you have any questions about what to choose, pricing or how-to’s, don’t hesitate to contact us. Stop by our store — we’re open seven days a week.